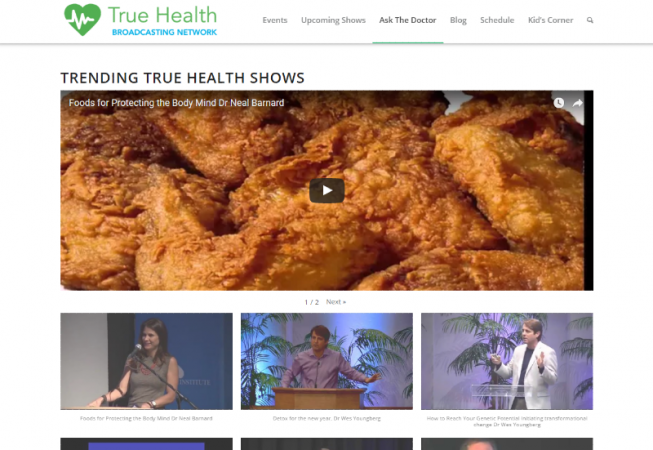 True Health Broadcasting Network’s website was already mostly completed when I got on board. What they wanted was additional content developed for the site and improved layouts. They also wanted more SEO to gain visitors to the website. 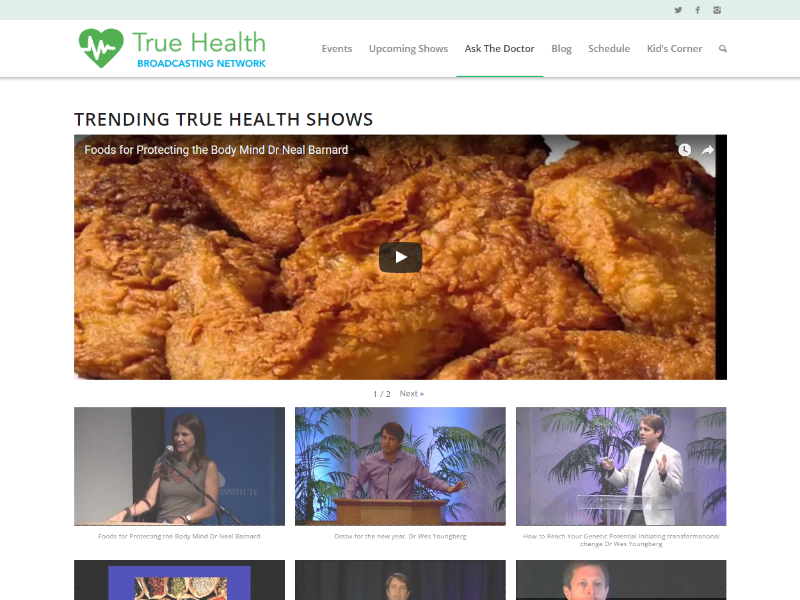 We focused on featuring their health show videos by placing a nice gallery of their YouTube videos on the homepage. We also placed their featured events in the main menu and also placed the upcoming events in the main menu as well to bring more attention to them.